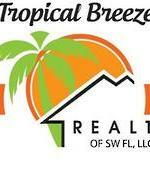 Tropical Breeze Realty of SW Florida is your first step to a home with a view of beautiful white sand beaches, clear gulf waters, warm sunshine and gracious hospitality in SW Florida. Let our friendly SW Florida Guides help you find the area of SW Florida that is the perfect fit for the lifestyle you are seeking. A & M Financial Group, Inc.